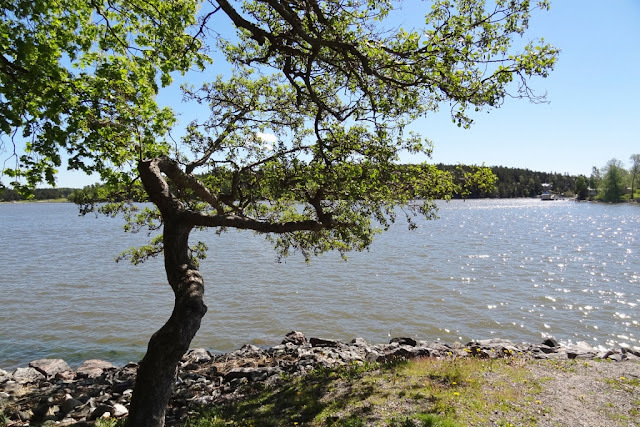 One of my greatest wishes related to the removal is showing promising signs of coming true: I have started to turn into an active outdoor person. Perhaps active is a bit of an overstatement but I do feel more alive and fit now that we are much more on the go. 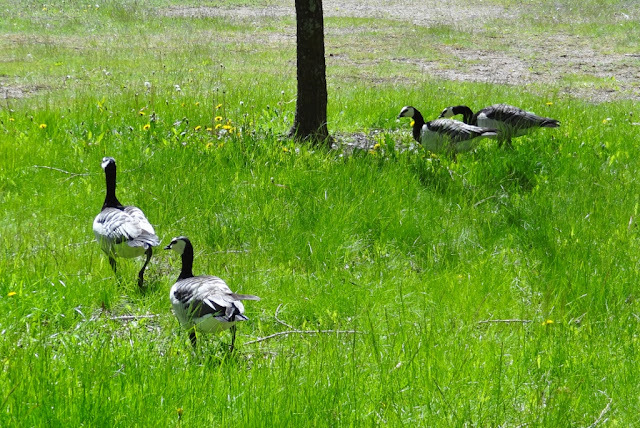 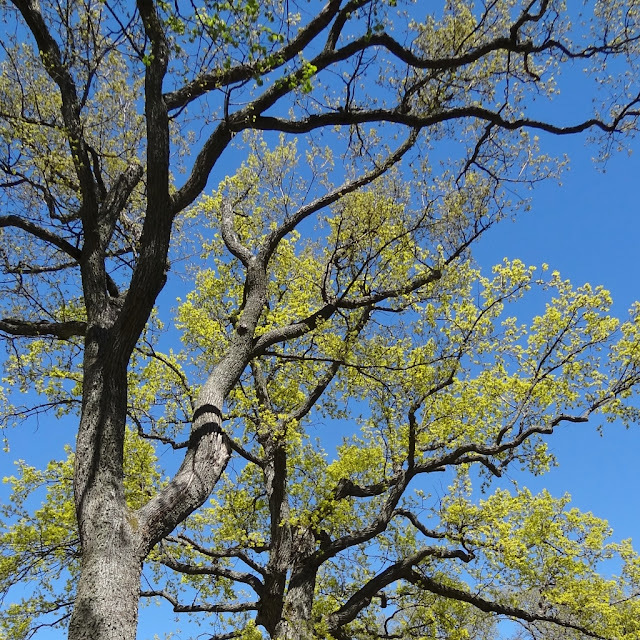 Recently, we have been checking the recreation areas and nature trails close by. 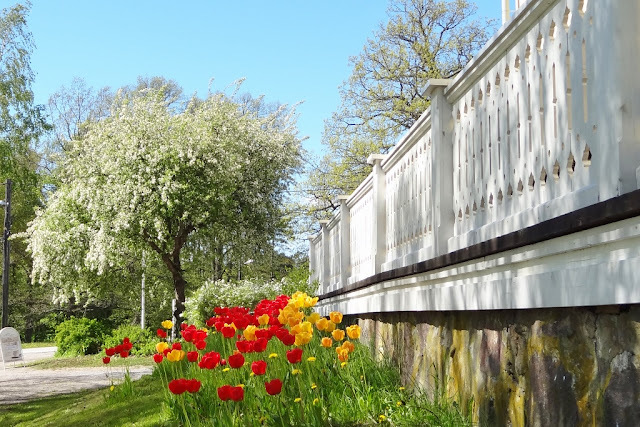 The rather chilly weather has given us an extended spring favouring this kind of activity. 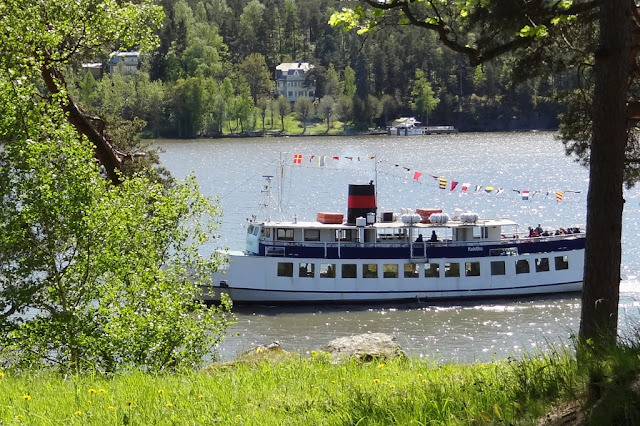 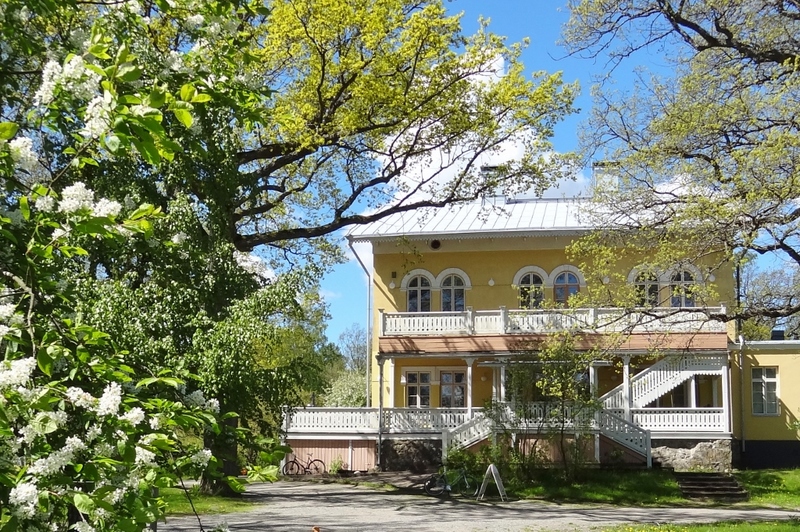 These photos were taken already last week in and around the beach park on the Ruissalo island, Turku’s public treasure. 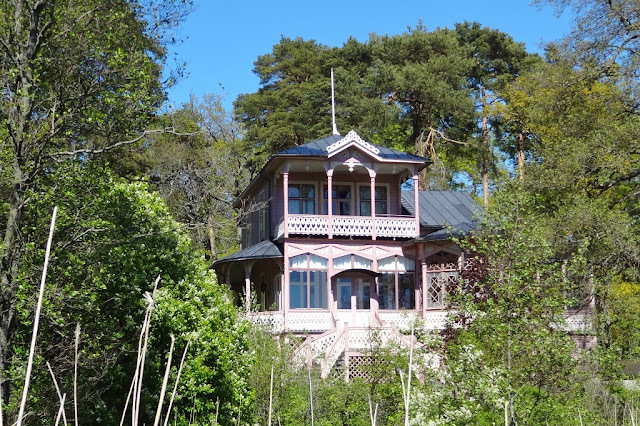 I can’t help posting them because the ornate wooden villas were not hidden by foliage yet. 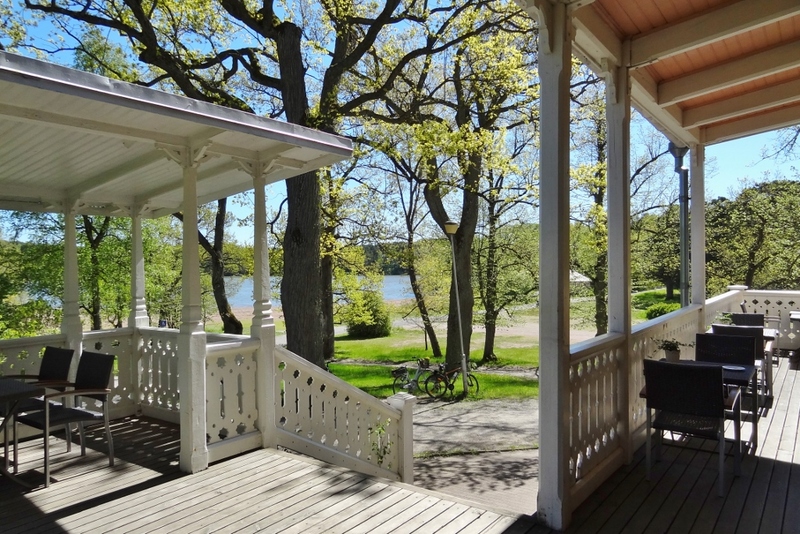 The above one is Villa Promenade, the café by the sandy beach in the park. 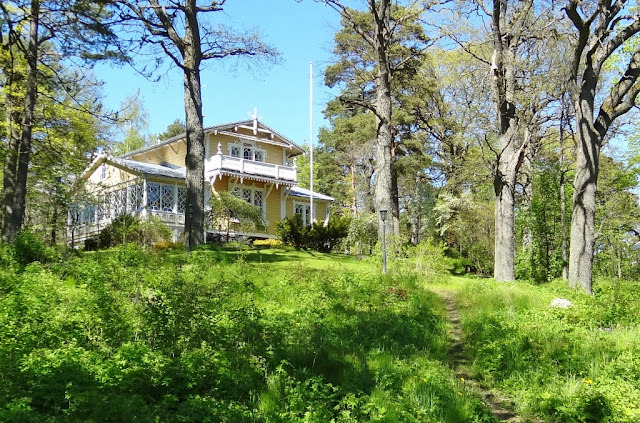 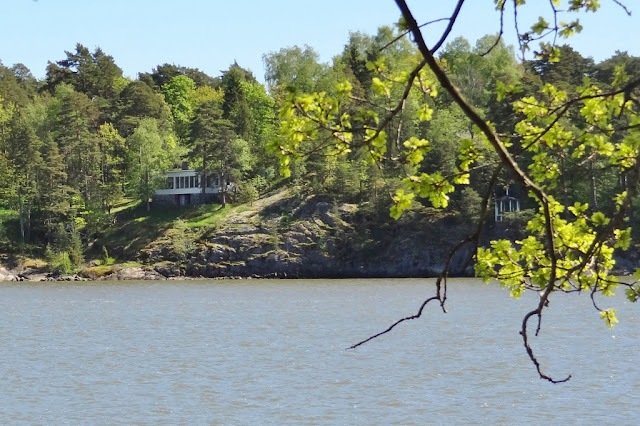 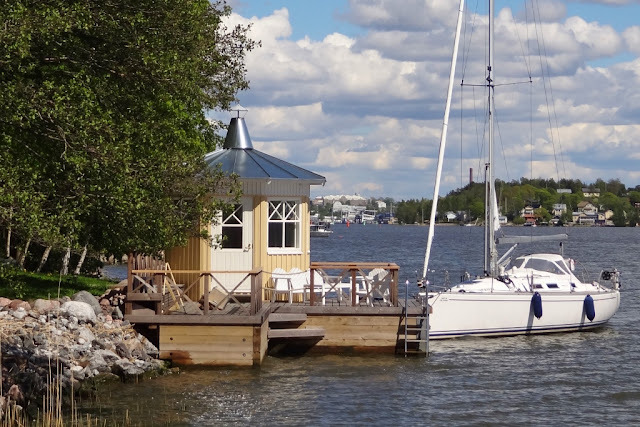 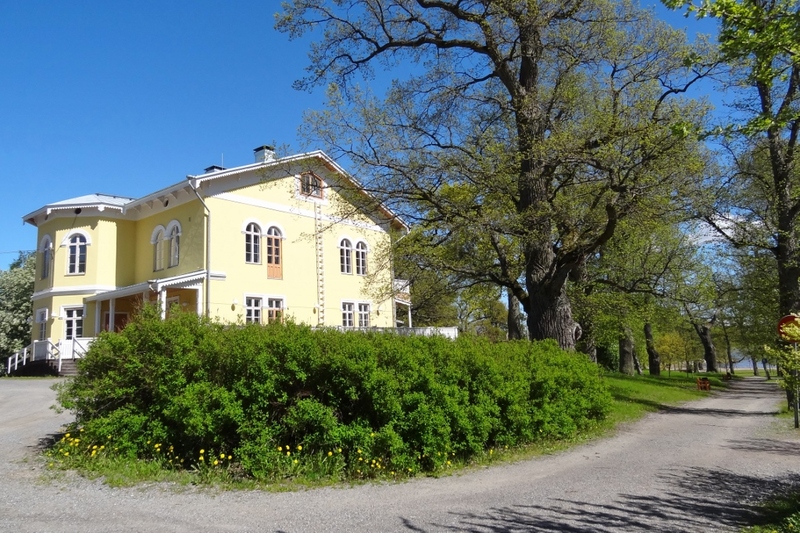 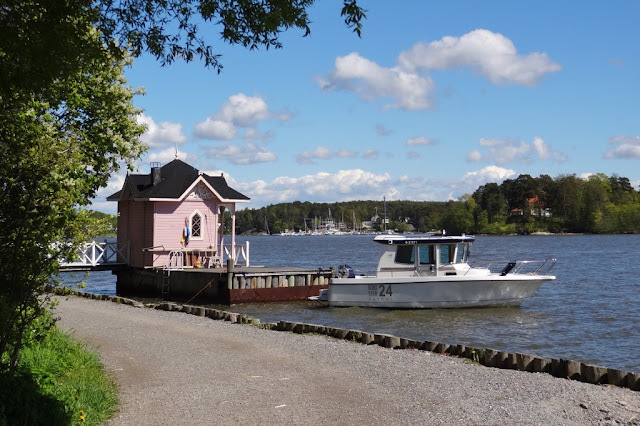 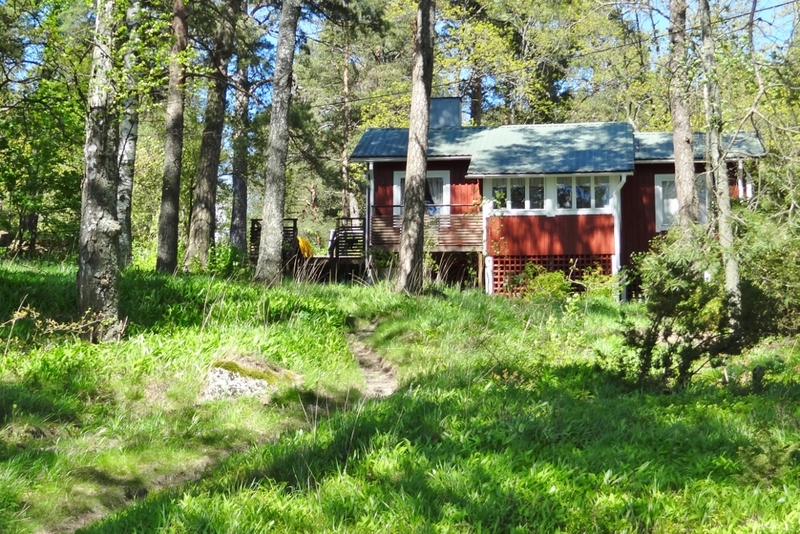 A few lucky ones have their summer residence or cottage with a swimming hut and boat pier of their own in Ruissalo. 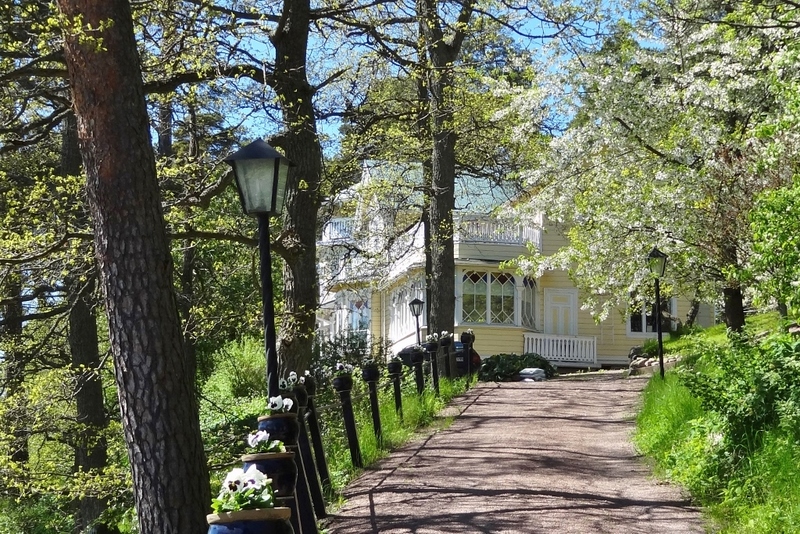 When the area was built in the mid-19th century, the town officials were wise enough to devote a stretch of the seafront for a promenade from where we regular mortals can admire the listed wooden villas even today. It's been wonderful to follow nature revive sort of in slow motion while getting to know the region. The whole area looks delightful and I love the appearance of those wooden villas. I used to dream of owning such an ornate yellow villa, which is the reason why I painted my house yellow.